I am thrilled and proud to officially announce that I will now be a member of the team at Graffiti With Punctuation, a film website giant that is going exciting places in Sydney, Australia and internationally. I will join co-founders Blake Howard (Editor-in-chief/Co-Founder), Cameron Williams (Editor/Co-Founder) and staff Nicholas Brodie, Maria Lewis and Dave Grenfell and be contributing new release reviews/features and be the resident film festival expert. I wish to thank Blake and Cam for extending me a generous offer and I feel honoured to be considered to work with them. I look forward to the opportunities. Never fear, The Film Emporium will still be up and running, though scaled back. Most of my reviews will now be posted on Graffiti, so content on The Film Emporium might be limited for a little while as I work out a balance and get acquainted with the new site. Thanks to everyone who has visited the blog and extended me courteous support and feedback over the last two and a half years. Graffiti With Punctuation can be found on Twitter at @Graffitiin140 and at the above link, and you can follow all of my tweets at @buckle22. Buzz Movie Makers, a Melbourne-based kid's film school, has teamed up with the I Give a Buck! Foundation of Australia to present the country's first Film Festival for under 16's which donates 100% of it's profits to charity. Young people across Australia are invited to showcase their creative talents by submitting short films or animations of no more than 7 minutes, in any genre they choose. A selection of fantastic prizes are up for grabs, along with the chance to have a film screened on the 'big screen' at the Buzz Awards Ceremony, being held on Sunday 25th November 2012, at Cinema Nova on Lygon Street. This award will be given to a young filmmaker or animator who can create an original advert for the charity, explaining the work they do and inviting people to donate as little as $1 to help children from low income families receive vital equipment such as wheelchairs, walking frames and specialist nursing care. The advert must run for no longer than 2 minutes, and the winning film will be broadcast all over Australia, promoting the charity. Entry to the festival costs $25, and submissions will be judged by professional directors working in the Australian film industry. For more information, email contactus@buzzmoviemakers.com.au and request a registration pack. There are four new releases in cinemas this week and unfortunately, with the exception of Beasts of the Southern Wild, which I greatly admire but was not as moved by as some reviewers, it is a poor week. We have a pair of new franchise installments, Madagascar: Europe's Most Wanted and Resident Evil: Retribution and the poorly-received gross-out/alien-invasion comedy, The Watch, starring Ben Stiller, Vince Vaughn, Jonah Hill and Richard Ayoade, one is counting the days until Looper. 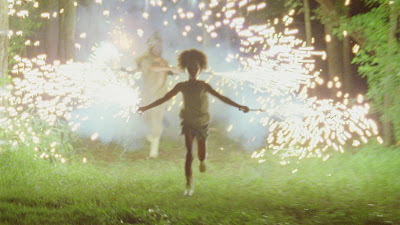 Beasts of the Southern Wild - In a forgotten but defiant bayou community cut off from the rest of the world by a sprawling levee, a six-year-old girl exists on the brink of orphanhood. Buoyed by her childish optimism and extraordinary imagination, she believes that the natural world is in balance with the universe until a fierce storm changes her reality. Desperate to repair the structure of her world in order to save her ailing father and sinking home, this tiny hero must learn to survive unstoppable catastrophes of epic proportions. Madagascar: Europe's Most Wanted - Alex the Lion, Marty the Zebra, Gloria the Hippo, and Melman the Giraffe are still fighting to get home to their beloved Big Apple and of course, King Julien, Maurice and the Penguins are all along for the comedic adventure. Their journey takes them through Europe where they find the perfect cover: a traveling circus, which they reinvent - Madagascar style. The Watch - Four everyday suburban guys come together as an excuse to escape their humdrum lives one night a week. But when they accidentally discover that their town has become overrun with aliens posing as ordinary suburbanites, they have no choice but to save their neighborhood -- and the world -- from total extermination. Resident Evil: Retribution - The Umbrella Corporation's deadly T-virus continues to ravage the Earth, transforming the global population into legions of the flesh eating Undead. The human race's last and only hope, Alice (Milla Jovovich), awakens in the heart of Umbrella's most clandestine operations facility and unveils more of her mysterious past as she delves further into the complex. Without a safe haven, Alice continues to hunt those responsible for the outbreak; a chase that takes her from Tokyo to New York, Washington, D.C. and Moscow, culminating in a mind-blowing revelation that will force her to rethink everything that she once thought to be true. Aided by newfound allies and familiar friends, Alice must fight to survive long enough to escape a hostile world on the brink of oblivion. The countdown has begun. Weekly Recommendation: Beasts of the Southern Wild, for exhilarating originality, world building and the performances alone, is worth a look. I feel it will prove to be divisive, however. Madagascar has received relatively positive reviews, so if you're a fan of the others, I imagine it is worth a look. Also, Damsels In Distress, released last week in Melbourne, hits Dendy Newtown this week. I'll be there. Top picks this week, however, are Monsieur Lazhar and Your Sister's Sister. Sony Pictures Releasing is delighted to announce that Daniel Craig, along with co-stars Naomie Harris (Eve) , Bėrėnice Marlohe (Severine) and Producer Barbara Broccoli, will be in Sydney on the evening of Friday November 16 to attend the Australian Premiere of the highly anticipated 23rd James Bond action adventure, SKYFALL. This will be the third visit by the 007 star Daniel Craig who attended Australian Premieres for ‘Casino Royale’ in 2006 and ‘Quantum of Solace’ in 2008. The Australian Premiere will be held at the prestigious State Theatre in Sydney on Friday November 16. Daniel Craig is back as Ian Fleming’s James Bond 007 in SKYFALL, the 23rd adventure in the longest-running film franchise of all time. The film is from Albert R. Broccoli’s EON Productions, Metro-Goldwyn-Mayer Studios, and Sony Pictures Entertainment. Directed by Academy Award winner Sam Mendes. Produced by Michael G. Wilson and Barbara Broccoli. The Royal World Premiere of SKYFALL will take place in London on 23rd October attended by His Royal Highness Prince Charles and The Duchess of Cornwall. At the request of His Royal Highness The Prince of Wales the premiere will benefit the charities that support former and serving members of the three intelligence agencies (the Secret Intelligence Service, the Security Service and GCHQ). The Premiere at Royal Albert Hall in London will be attended by the film’s leading actors Daniel Craig, Judi Dench, Javier Bardem, Ralph Fiennes, Naomie Harris, Bėrėnice Marlohe, Albert Finney and Ben Whishaw, and the director Sam Mendes. 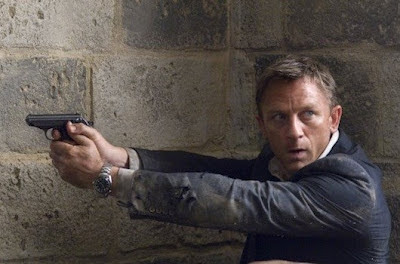 SKYFALL releases nationally November 22. Eyes Without A Face is a declared classic blend of police procedural and mad scientist-driven body horror from French director Georges Franju. 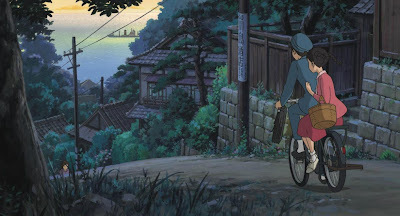 It is an adaptation of Jean Redon's novel of the same name and didn't receive a release in the United States until 1962. 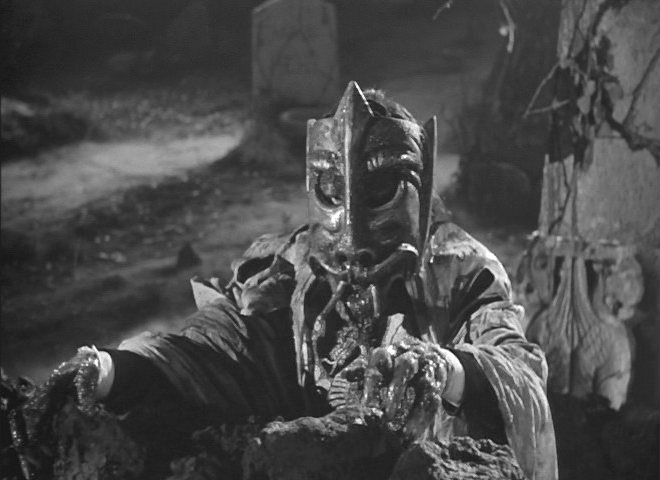 This version was dubbed, edited and titled The Horror Chamber of Dr. Faustus. 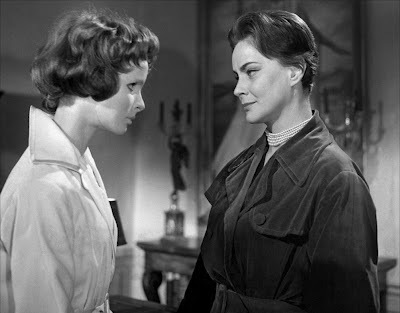 Master surgeon Dr. Genessier (Pierre Brasseur), feeling guilty about his role in his daughter Christiane’s (Edith Scob) facial disfigurement – one she is forced to hide under a fitted mask - enlists his assistant, Louise (Alida Valli), to kidnap pretty young women who resemble Christiane. His aim: to attempt a transfer of their face onto his daughter’s. 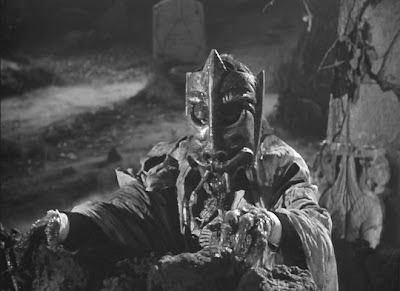 The film opens at night just outside Paris with Louise driving to a riverbank and dumping a corpse into the river. This body is later identified by Dr. Genessier as his recently missing daughter, believed to have committed suicide as a result of her disfigurement. The body in fact belongs to a young woman that died after Genessier's unsuccessful attempt to graft her face onto his daughter's. Christiane is being held at his mansion - located adjacent to his medical clinic. The film tracks both Genessier's fate following another failure to fix his daughter - this time he effectively grafts the face of another young woman, Edna (Juliette Mayniel), but Christiane's body ultimately rejects it - and his daughter's coming-to-terms with her existence as nothing more than a human guinea pig and choosing to reject her father's help just as her body does the transplants. So, what has happened over the last week? 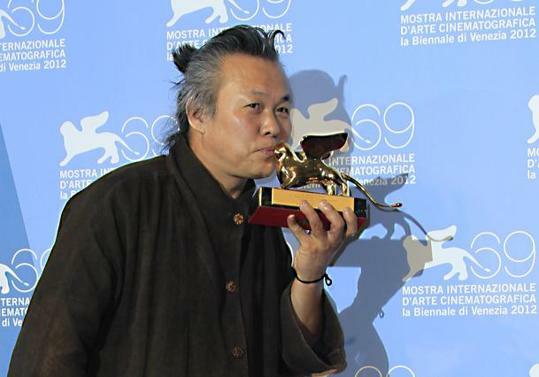 Well, the Venice International Film Festival concluded (with The Master missing out on the Golden Lion) and the Toronto International Film Festival commenced. More on TIFF later. As I have not had much to write about, the blog has been quiet of late. As I had already seen most of this week's releases, I have done a lot of re-watching over the last four days. Repeats views of Your Sister's Sister, The Avengers, Berberian Sound Studio and Killer Joe have secured them consideration for my end-of-year Top 30. Berberian Sound Studio - which I watched at the Sydney Underground Film Festival on Friday night - after offering up a puzzling experience on first look at MIFF, really satisfied on a re-watch. One of the most original, stimulating and technically outstanding feature films I have had the pleasure to view this year. Sam @ Duke and the Movies has so far reviewed Looper, Amour, The Central Park Five, The Sessions, Reality and The Silver Linings Playbook. CS @ Big Thoughts From A Small Mind has reviewed Stromboli and War of the Volcanoes. Joseph @ Black Sheep Reviews has so far reviewed The Company You Keep, The Silver Linings Playbook, Amour, The Perks of Being A Wallflower, West of Memphis, Stories We Tell, Anna Karenina, Dredd 3D, Looper, On the Road, Rust And Bone. 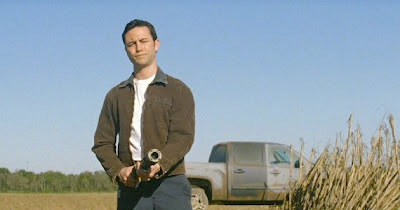 Andrew Robinson @gmanReviews has reviewed Looper, The We and the I and Rust and Bone in his TIFF diaries. Also writing in the form of a diary is Corey Atad @ justAtad. So far, you can check out his thoughts on Days 1 & 2 and reviews of Rust and Bone, The Gatekeeper, Stories We Tell and Like Someone in Love. Ryan McNeil @ The Matinee always provides wonderful coverage of TIFF and 2012 is no exception. Check out his reviews of Rust and Bone, Like Someone In Love, The Place Beyond the Pines and Seven Psychopaths. Also, Andrew at A Constant Visual Feast shares his thoughts on one of the most affecting films I have seen this year, Oslo, August 31st. Ethan shares 'Fifteen Criterion That He Wishes Were Real'. Brilliantly inventive. Sam has recently become a LAMB member and takes a look at a pair of docos that screened at the Sydney Underground Film Festival over the weekend. Alex's review of The Imposter is as much a masterpiece as the film itself. James takes a look at Hellboy. He's a big fan. Hope everyone has a great week. Look for reviews of The Watch and Damsels in Distress to come over the next week. Transmission Films is proud to announce that Cate Shortland’s magnificent new film LORE, set for national release on September 20, has been selected as the Australian entry for consideration for Best Foreign Language Film for the Academy Awards® to be announced early 2013. LORE, which has its North American premiere on Monday at the Toronto International Film Festival, was also in competition at the Sydney Film Festival and recently won the Audience Award at the 2012 Locarno Film Festival in Switzerland. Set in the closing days of World War II, the film tells the story of Lore, who, after her Nazi parents are imprisoned, leads her younger siblings across a war-torn Germany in 1945. Amidst the chaos, she encounters the mysterious refugee Thomas, who shatters her fragile reality with hatred and desire. To live, she must trust someone she was taught to hate and face the darkness within herself. To be eligible for consideration for the Best Foreign Language Film Award, a film must have been released in its country of origin for at least seven days and is defined by predominantly non-English dialogue. Each country can submit one film for nomination consideration. Samson & Delilah was Australia’s official entry in 2010. LORE is an official German-Australian co-production by Roh Film, Porchlight Films and Edge City Films. Producers are Karsten Stöter, Liz Watts, Paul Welsh and Benny Drechsel. Writers are Cate Shortland and Robin Mukherjee. Director is Cate Shortland. LORE was financed by Screen Australia, Mitteldeutsche Medienförderung, HessenInvest Film, Filmförderungsanstalt, Filmförderung Hamburg Schleswig-Holstein, Medien- und Filmgesellschaft Baden-Württemberg and Deutscher Filmförderfonds, in association with Screen NSW and Creative Scotland. The film was developed by Screen Australia and Creative Scotland. LORE is being represented internationally by Memento Films, and its US Distributor is Music Box Films. The 85th Academy Award® nominations will be announced on January 15, 2013, with the awards presented on February 24. Cate Shortland, will support the release of LORE with a ‘meet the audience’ screenings at cinemas in Sydney, Melbourne and Canberra.